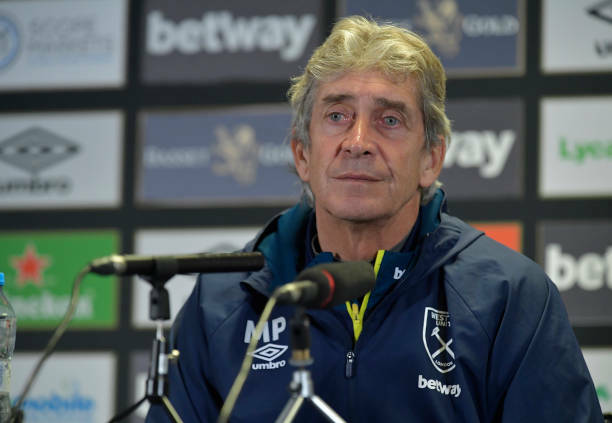 Manuel Pellegrini has urged West Ham United's youngsters to keep pushing their case for involvement with the first team. Ben Johnson became the sixth Academy graduate to play in the manager's senior side this term when he was handed his debut in Wednesday's 1-0 loss at Manchester City, following on from Mark Noble, Declan Rice, Grady Diangana, Conor Coventry and Joe Powell. Pellegrini says that is indicative of the quality coming through the ranks and he is only too happy to give youth its chance when he situation demands. The boss is, however, also looking forward to having either Aaron Cresswell or Arthur Masuaku back in contention for Saturday's visit of Newcastle United. "The duty of young players is to always try to push. They work with us in the same place at Rush Green, so it's easy for me and when you have problems in training for different injuries they play near where we work. "It's more easy for me to give them an opportunity in the starting XI. In the case of Ben Johnson I was forced to do it. I trust him a lot and think he will be an important player here in the future. "Ben is a right full-back, not a left full-back, but in this case we had Aaron Cresswell and Masuaku out of the squad. Pablo had a problem with his back which meant he was just there as an emergency and he had to play because Ben had a problem in his calf. "I think he played a good game and demonstrated he is ready to fight for a place in the next season. I think Aaron and Arthur will be back and one of them will play."